The U.S. Department of Labor’s Occupational Safety and Health Administration’s Kansas City office has opened an investigation into the death of a worker killed in a trench collapse Thursday in the Kansas City suburb of Belton. Preliminary information indicates a construction crew was digging a trench from the house to the sewer line, using a backhoe. The 33-year-old victim entered the approximately 12 feet deep trench, which then collapsed on top of him. The trench did not appear to have been equipped with protective measures, such as a trench box or shoring, to prevent collapse. OSHA says 24 workers involved in trench collapses have died since January. Blue Springs-based Arrow Plumbing is a subcontractor on the construction site, managed by general contractor Ward Development of Grain Valley. 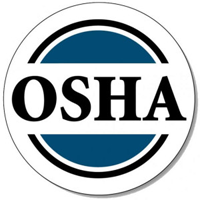 OSHA has opened inspections with both companies.